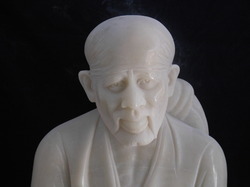 We offer a beautiful range of Sai Baba Sculptures. The range is available in standard throne and standing models and can be customized as per client requirements. We offer the array in varied sizes at best prices available in the market. 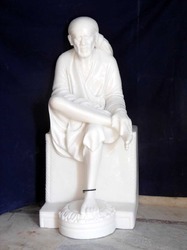 Our range of Marble Sai Baba Statue is made by our talented team of artisans and craftsmen. These are made using quality stones and colors. These features and textures are highlighted properly to generate a calm and meditation state. The range is available in varied sizes and comes with a flat base. We offer this range as per client specifications as well, at very reasonable prices. 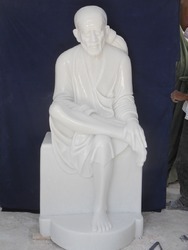 We offer a comprehensive collection of Sai Baba Sculpture (White Marble) made by our skilled team of artisans and craftsmen. Made of quality stones and colors, the features and textures are of these statues are highlighted properly to generate a calm and meditation state. The range is available in various sizes and comes with a flat base. These are available with us at very competitive prices. 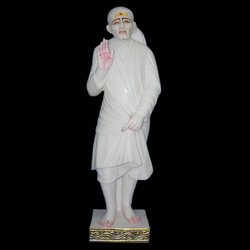 We are engaged in providing an extensive range of Marble Dwarka Mai Statue, which is made from pure white marble and is highlighted with suitable colors. 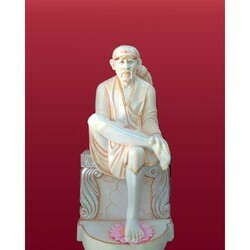 These sculptures are widely appreciated for their quality and unmatched looks. The range is available in plenty of sizes and styles to meet the variegated client requirements. Further, we also customize the range as per client specifications and offer it at very reasonable price. 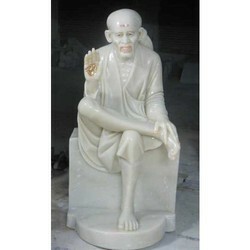 We are engaged in providing an extensive range of Saibaba Statue, which is made from pure white marble and is highlighted with suitable colors. 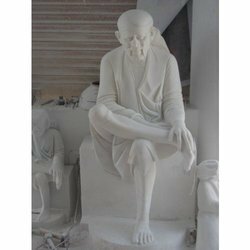 These sculptures are widely appreciated for their quality and unmatched looks. The range is available in plenty of sizes and styles to meet the variegated client requirements. Further, we also customize the range as per client specifications and offer it at very reasonable price. 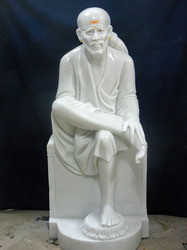 We offer an elegant collection of Sai Baba Sculpture. 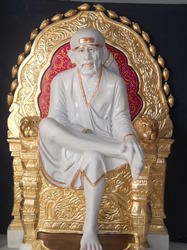 In this range, Sai Baba is depicted sited on a throne and giving blessing. Designed by seasoned artisans, the features and textures are of these sculptures are highlighted, so as to bring a real look to the idols. We offer the range in variegated styles and designs and offer them at industry leading prices to our clients. 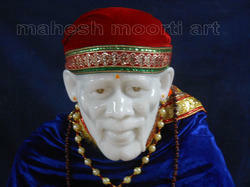 We also offer Sai Baba idol, which is made using quality marbles procured from trusted vendors. 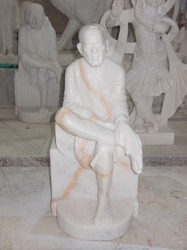 In these sculptures Sai Baba is depicted sited on a throne and giving blessing. These are designed by a very skilled team of craftsmen and artisans. The features and textures are highlighted as to bring a real look to the idols. These are available in the market at reasonable rates. 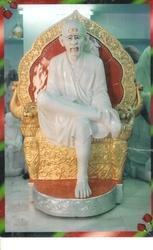 We are engaged in offering a wide range of God Shirdi Sai Baba Idol Marble Statues to our most valued clients. 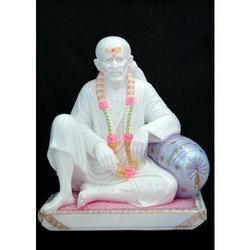 Our range of God Shirdi Sai Baba Marble Statues is made from quality raw material and also displays our craftsman's aesthetes in real way. 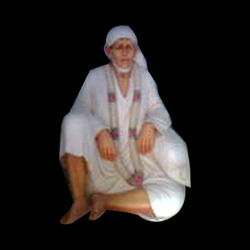 These God Shirdi Sai Baba Marble Statues are available in various sizes and we offer at most competitive prices. 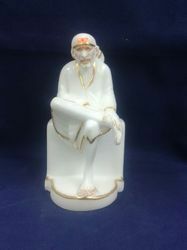 We are engaged in offering a wide range of God Shirdi Sai BabaMarble Statues to our most valued clients. 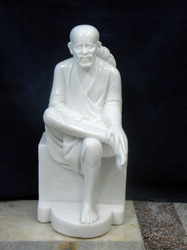 Our range of God Shirdi Sai Baba Marble Statues is made from quality raw material and also displays our craftsman's aesthetes in real way. 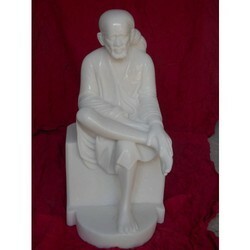 These God Shirdi Sai Baba Marble Statues are available in various sizes and we offer at most competitive prices. 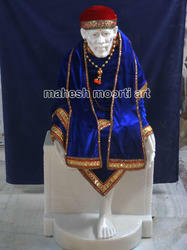 We offer a wide collection of Sai Baba Sculpture in Standing Position. 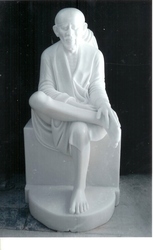 These are made using quality marble stones, which are sourced from the trusted suppliers of the industry. The range is crafted by a team of skilled artists and offers peacefully elegant looks. This array comes with a firm base stand which is flat to enable its firm balance. These sculptures are available with us at reasonable rates. 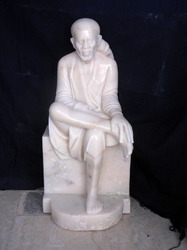 Our range of Marble Sai Baba Sculpture is made by our talented team of artisans and craftsmen. These are made using quality stones and colors. These features and textures are highlighted properly to generate a calm and meditation state. The range is available in varied sizes and comes with a flat base. We offer this range as per client specifications as well, at very reasonable prices. Our range ofMarbleSai BabaStatueis made by our talented team of artisans and craftsmen. These are made using quality stones and colors. These features and textures are highlighted properly to generate a calm and meditation state. The range is available in varied sizes and comes with a flat base. We offer this range as per client specifications as well, at very reasonable prices. 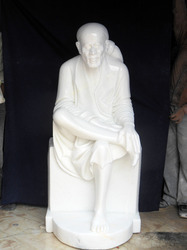 Saibaba marble statue size 30 inch height, 25 inch width and only 3 inch thickness. 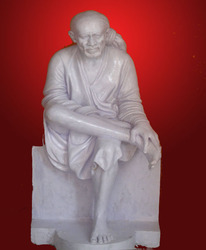 Our range of moorti Sai Baba is made by our talented team of artisans and craftsmen. These are made using quality stones and colors. These features and textures are highlighted properly to generate a calm and meditation state. The range is available in varied sizes and comes with a flat base. We offer this range as per client specifications as well, at very reasonable prices. 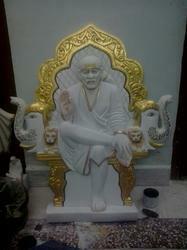 Looking for Sai Baba Sculptures ?